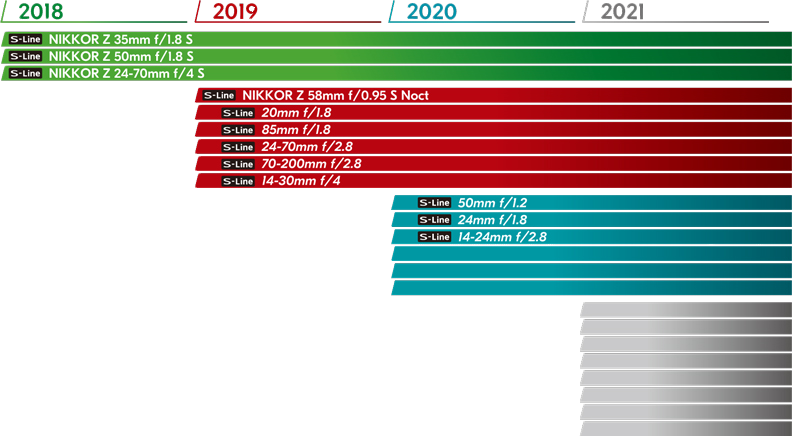 As many major camera manufacturers have rolled out their first full-frame mirrorless camera over the past year, the global photographic community has waited with bated breath (and some skepticism) for the Nikon Z series flagship cameras – the Nikon Z7 and the Nikon Z6. This is because Nikon is taking the first step towards raising the question – are DSLRs obsolete? Promising specs that rival the Nikon D850 and a long-term investment into the new Z-mount lens system, Nikon suggests a changing of the guard. But is the Nikon Z series proof that DSLRs could be on their way out? 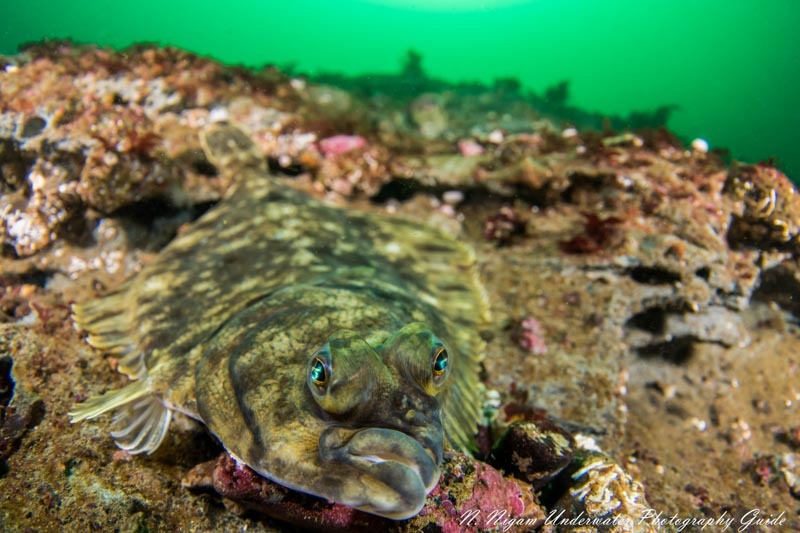 The team at the Underwater Photography Guide has decided to test this theory by taking the Nikon Z7 diving in rugged, cold waters on the West Coast of the United States. The verdict? …Say hello to the full-frame mirrorless era; the Nikon Z-series is spectacular! Though the Nikon Z7 and Z6 join an increasingly crowded field of full-frame mirrorless cameras like the Canon EOSR, Sony A7R III, and Panasonic S1R, the Nikon Z7 may quite possibly be the best all-around mirrorless camera on the market. The Z7, which Nikon calls "The Perfectionist" is a 45.7 MP beast with a full-frame sensor and "revolutionary autofocus". The Z6, which Nikon calls "The All-Arounder" is a 25.4 MP camera with its own impressive array of specs, and a significantly lower price tag. Beyond the difference in resolution, there is very little separating the Z6 from the Z7. Therefore this review is for both cameras. The Nikon Z6/Z7 is available now at Bluewater Photo! 1) They will work with most existing Nikon FX lenses (with an FTZ adapter), and the auto-focus will be good. This means most of your old DSLR lenses can be migrated over to this system. 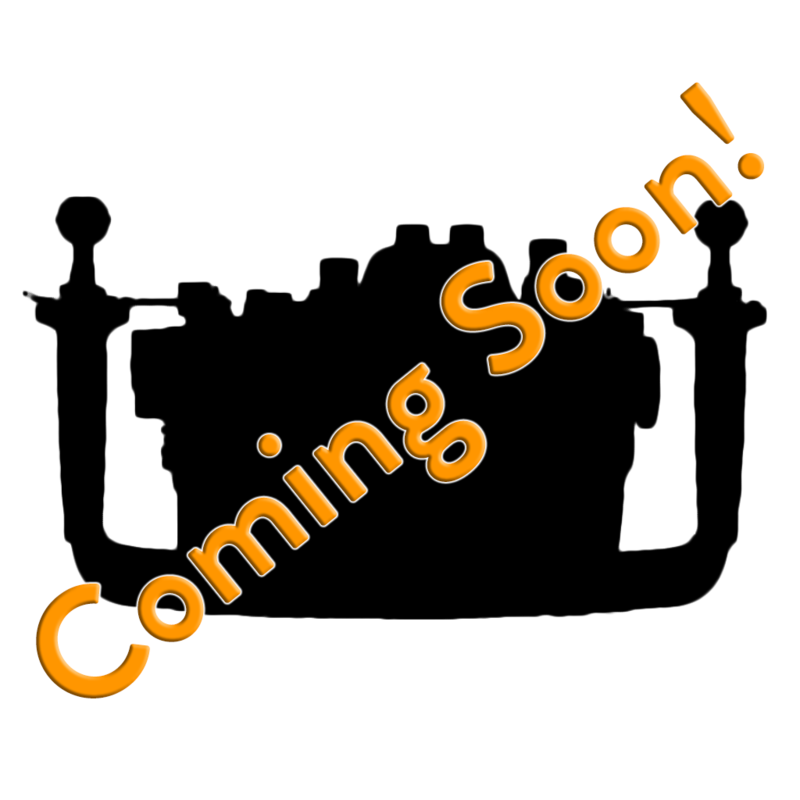 Housing manufacturers are accommodating for the FTZ adapter as well! It is important to note that autofocus sometimes doesn't work with third-party F-mount lenses and the FTZ adapter. 2) Built-in 5-axis image stabilization. Now all of your lenses are stabilized, and the ones that already have IS built-in are even better. This is a big differentiator from the Canon EOS R mirrorless camera. 3) The new lens mount supports lenses with an aperture of F 0.95. That's a lot of light! 4) The Z7 has auto-focus capability over 90% of the screen, meaning a lot more of the image is available for focusing. Here's a quick breakdown of key specs for the Z6 and Z7. The most important distinctions between the two cameras are the sensor resolution and autofocus - both are markedly better on the Z7. Additionally, the Z7 has a native ISO of 64, expandable down to 32, which is better than the Z6's native ISO of 100 (expandable down to 50). This means the Z7 will pull out more details from the shadows and highlights than the Z6. Other than that, the cameras are almost the same, including the same physical dimensions and weights. One of the big advantages of the Z series is Nikon's new "Z Mount", which has a 17% higher diameter than Nikon's classic full-frame F Mount (55mm vs 47 mm), as well as a shorter flange focal distance (16mm vs 17.5mm). These will allow for Z-series lenses to be wider, letting in more light and allowing a max aperture size of f/0.95. Other benefits include improved edge-to-edge image sharpness and virtually no distortion, even with the aperture wide open. Additionally, it allows for the lenses to be smaller and more compact than Nikon's standard F Mount full-frame lenses. Note also that Nikon released an FTZ Adapter which will allow F Mount lenses to be used on the Z6 and Z7 camera bodies (though of course when using this you will miss out on the advantages of the Z mount). Nikon has announced that the FTZ Adapter is fully compatible with 90 lenses, and 360 lenses in total can be used with it. (Full AF/AE supported when using FX or DX AF-S Type G/D/E, AF-P type G/E, AF-I type D and AF-S/AF-I Teleconverters). Of course, it remains to be seen how the FTZ Adapter will work with 3rd party F-mount lenses popular for underwater use (eg Sigma, Tokina). The most enticing thing about the Z6 and Z7 is the build. It’s excellent. The weather sealing seemed tough enough in the variable weather conditions experienced during testing – no problems there. More importantly, the Z7 is much smaller and lighter than the D850 (675g vs 1005g). If I’m traveling or diving, the Z7 wins hands down every time. My biggest complaint with the Nikon D850 has been that it is just too big underwater. The Nikon Z7, even in an Ikelite housing (which tends to be less streamlined than other manufacturers), was a breeze to handle, even from shore. Ikelite introduced a trim rail with this housing that could be enticing for videographers as it makes the system neutrally buoyant for wide shots with a large dome. Except for the function buttons that are a little hard to access on the forward, right side of the camera, the button placement is very well thought out. I found myself have no issues with finding buttons or functions, even without reading any manuals. I very much enjoyed the “info” menu button that allowed quick access to a menu with all the quick settings that you might need in the spur of the moment. Migrating from another Nikon system, I think this camera is very intuitive. In fact, I felt that the Z7 had the quickest learning curve of any camera I’ve picked up, to date. But don’t take my word on that, of course. Everyone learns differently. The Electronic Viewfinder on the Nikon Z6 and Z7 seems to be all the rage. And indeed, it is the highest quality of any available on the market. The dynamic range is adequate to estimate exposure correctly, usually without looking at your first shot. I still recommend turning live view off in darker water to properly see potential subjects. The refresh rate is excellent. There is very little, if any lag. 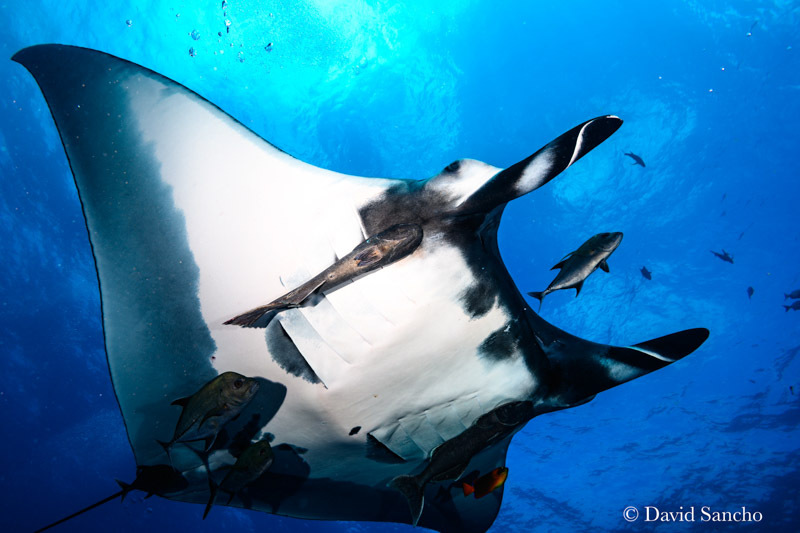 The exciting thing for underwater photographers is that you really don’t need to take your eye off the viewfinder for a whole dive. Images can be reviewed, and all settings and menus can be adjusted right in the viewfinder. The image quality on the Z7 is just unstoppable. At first you might think that 45.7 MP is more than enough pixels in one camera. But in reality, every bit of that information is useful. When you have so many megapixels on a full-frame sensor, you’re left with an almost unreasonable ability to crop your photo and produce a large, beautiful image of the most minute details. 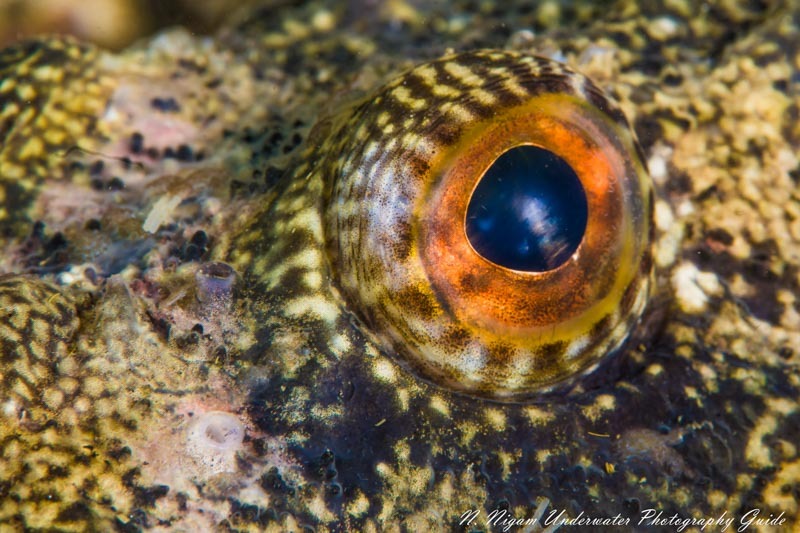 Take the image below of this black-eyed goby and a 100% crop of the same image. Even the color pigments in the skin are of the highest level of detail. 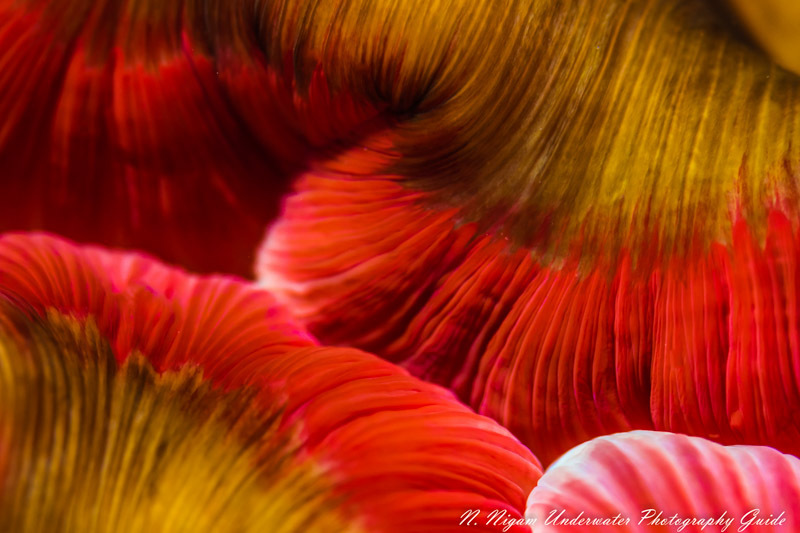 Detail like this will open new worlds for macro photographers. It’s like having a portable microscope. The built-in 5-axis image stabilization works quite well. It extended my range by a couple of stops, and low-light, hand-held shots did not suffer much motion blur. The auto white balance and color rendering on this camera performed much better the auto white balance on the Sony A7R III – a camera that has had auto white balance issues in the past. Though this can be corrected in post-processing, it’s nice to have raw files with accurate colors straight out of the camera. The one area where image quality was lacking on this camera is the level of noise. There’s definitely more noise than what is desirable, even at low ISOs (without using the NR function). However, this is entirely due to the fact that there are so many megapixels stuffed onto the sensor. Because the grain is so small, the noise is very easily removed in post-processing. So this could even be seen as a positive for workability. The autofocus on the Z7 has been given quite a bad rap on the internet. I think it’s unwarranted. Overall, I found the autofocus underwater to be better than the Sony A7R III and slightly worse than the D850. I personally thought that the difference between the AF on the Z7 and D850 was so small, it could only make a difference in an insignificant fraction of the shots I took. What impressed me so much about the Nikon Z7’s autofocus was its performance in low light. I was 50 feet deep, with 5 ft of whale snot viz, at sunset, without a focus light, and the AF locked in quickly and easily on every shot. I do recommend using larger focus point options like the wide-s AF area if you are working with quicker subjects or continuous AF. There are so many autofocus points on the Nikon Z7 that it can take a while to hunt for the right point if you’re using a single AF point. On the flipside, it’s great to have 90% autofocus point coverage on the Z7. Unfortunately, Nikon did not migrate their 3D tracking Auto Focus mode from the D850 to the Z7, which is a bit of a blow to the system. This was a great tool for a lot of both wide angle and macro photography. The Z7’s continuous AF mode doesn’t perform as well as hoped either. But don’t get me wrong, it’s still great. 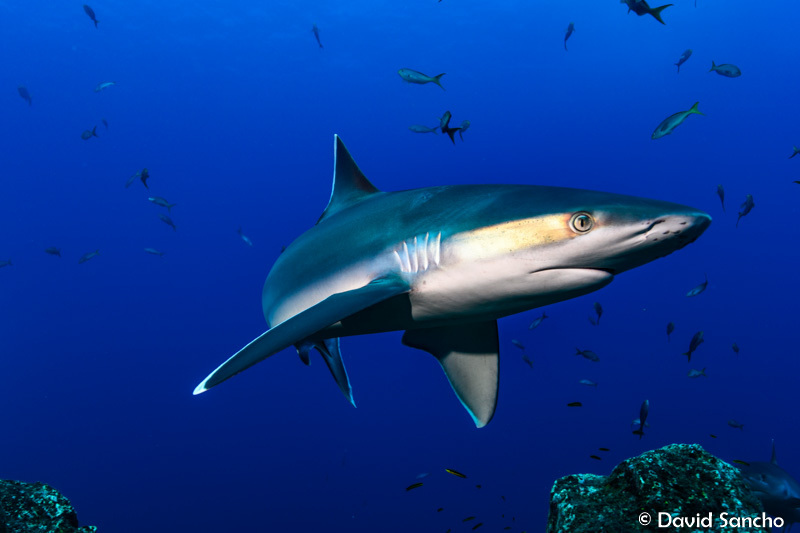 If I was really into shooting fast moving subjects, such as with a lot of pelagic animals, I might consider the Nikon D850 over the Z7. Unfortunately, this is one of the places where the Nikon Z6 and Z7 fall short of the D850. Though they are still excellent performers, the flash sync speed is 1/200s which makes taking good sun ball shots a little harder. The native ISO of 64 on the Z7 does make up for this a little bit. However, the most concerning issue is banding. In very low light situations, like diving in the Pacific Northwest, underexposed areas can have slight, barely noticeable banding. This is due to the phase detection autofocus points. In most topside photography this wouldn’t be a problem. 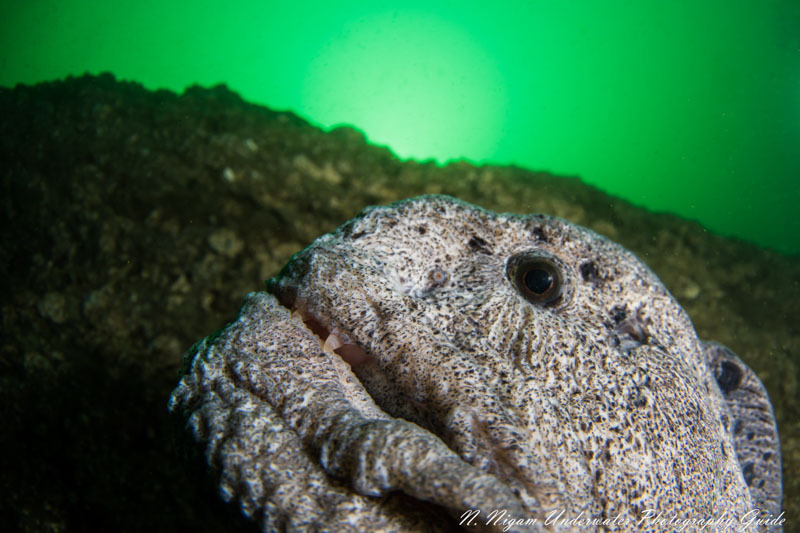 But in underwater photos with large dynamic range, it can be. The video on this camera can be considered on par with the Nikon D850. 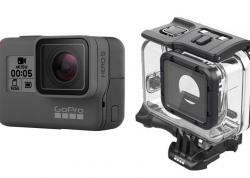 This puts it at the top of the line for most underwater video systems – certainly rivalling the Sony A7R III. The color rendering is thankfully as good as the Nikon D850. But the best feature on the Z7’s video is the autofocus full-time function. It outperforms the D850 and most other competing cameras. I did, however, have a little bit of trouble with this function in very low light. The most exciting thing for videographers using the Nikon Z7 is that it’s a full-frame camera with 4k video, capable of outputting video at 10 bits. Many cameras with this capability are over 10 times the price. An NLog color profile is also available for the Nikon Z7, which will bring out more details after post-processing. As this is a new lens system, Nikon only has a few Z mount lenses available. However, they have mapped out their offerings for the next three years, which is quite informative. As can be seen here, although there are a lot of exciting lenses for topside use, many are prime lenses in mid focal ranges so not well suited to underwater photography. And although there are some nice wide angle zooms (14-30mm f/4 and 14-24mm f/2.8), there is no fisheye lens and no macro lens planned for at least the next couple of years. Additionally, Nikon has not released their Z mount design to 3rd party lens manufacturers, and it may be some time until Z mount lenses are seen from popular underwater photography lens manufacturers like Tokina and Sigma. So this means that, for the time being, much of the underwater use of these Z series cameras may require use of the FTZ lens mount adapter. 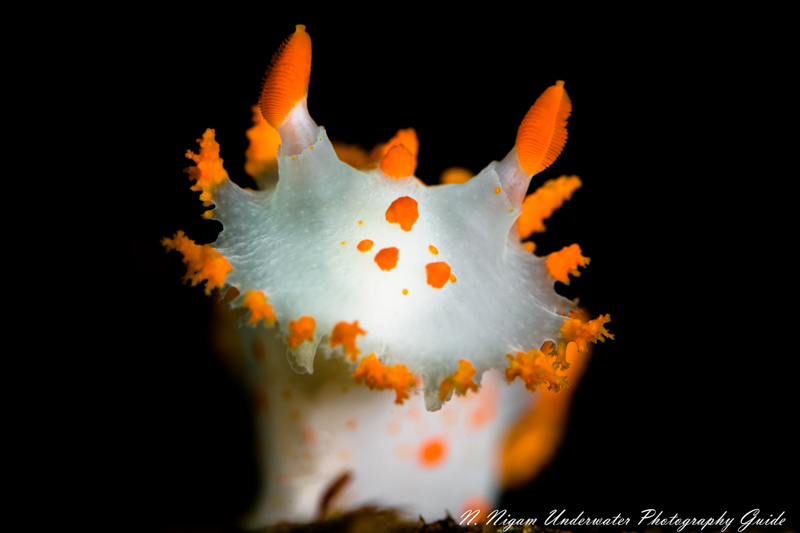 Nauticam Super Macro Converter: the Nauticam super macro converter (SMC-1) is a wet diopter perfect for taking sharp super macro images. In fact, it is the strongest, sharpest diopter on the market. For the best super macro results, use it with the Nikon 105 mm 2.8G VR lens. Nikon 8-15mm: Get creative with the full circular image, or zoom in for a more standard fisheye lens. Read the Nikon 8-15mm FX AF-S f/3.5-4.5E ED Zoom Fisheye Review by Mark B. Hatter. The Nikon Z6 has very similar specs to the top crop-sensor mirrorless options for underwater shooting, the Olympus OM-D E-M1 Mark II and the Panasonic GH5. (Check out our detailed UWPG reviews of the Olympus E-M1 Mark II and Panasonic GH5 for more info). Perhaps the most important distinction is that the Z6 has a full-frame sensor, which makes its price point quite compelling. The main advantages of the Z6 are a much larger sensor size, higher resolution, and faster autofocus. Although the resolution of the Z6 is somewhat better than that of the GH5 and E-M1 Mark II, the full-frame Z6 sensor is significantly larger. This means it has much larger pixels than either of these competitors, giving it significant advantages in dynamic range and low light performance. The larger sensor also means that for a given f-stop value, the depth of field on the Z6 will be shallower than the GH5 or E-M1 Mark II. This can make shooting macro, where a large depth of field is often desired, more difficult. In order to compensate, the Z6 will have to use a higher aperture to get the same depth of field, making lighting more challenging. The autofocus will also make the Z6 significantly better at getting action shots and finding focus in low light conditions. The use of an XQD card, instead of an SD card, provides advantages in processing speed and storage size, though some may find it a disadvantage that they can't use their existing SD cards. The camera body is almost identical in weight and dimensions to that of the Olympus E-M1 Mark II, coming in a bit heavier and a bit thicker, but not by much. 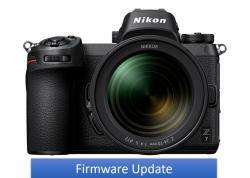 The major downsides to the Nikon Z6 are the relatively poor battery life and the limited lens selection (unless using the FTZ converter). With 310 shots per charge, it has less than 75% of the battery life of the E-M1 Mark II, meaning lots of battery swaps between dives. Although the flash sync speed is slower, the lower minimum ISO makes up for this when wanting to stop down for bright sunball shots. Only having one card slot will be seen by some as an additional disadvantage. Although the Z mount will allow Z series lenses to be smaller than equivalent DSLR lenses, the lenses still have to be made for a full-frame sensor. This means that they will, for the most part, be larger than their mirrorless micro-four-thirds equivalents. For example, the Nikkor Z 24-70mm f/4 is a bit larger and heavier than the Olympus Pro 12-40 (24-80mm full frame equivalent) f/2.8 lens, meaning the upcoming Nikkor Z 24-70 f/2.8 lens should be significantly bulkier than its Olympus "equivalent." The Z7 has similar specs to the Nikon D850 and Sony A7RIII, the leading full-frame options for underwater photography. (Check out the UWPG reviews for the Nikon D850 and Sony A7RIII, as well as a head-to-head comparison of the D850 vs the A7RIII). *Although the specs for the A7RIII look strongest on paper, in testing we found the Nikon D850 autofocus out-performed it. The main advantage of the Nikon Z7 is D850 level performance, with the smaller size and weight of the A7RIII and smaller lenses than would be found on a DSLR. Additionally, the in-body 5-axis image stabilization will be very useful for shooting video, as compared to the D850's lack of in-body stabilization. Using the FTZ adapter gives the Z7 access to most of the great wide angle and macro lenses the D850 can use. Though also note that the A7RIII can use the Metabones adapter to get access to Canon lenses; this means the wide angle lens options should be roughly equivalent between the Z7 and the A7RIII, but the macro options may be better for the Z7. The use of an XQD card instead of an SD card provides benefits in processing speed and storage size, though some may find it a disadvantage that they can't use their existing SD cards. 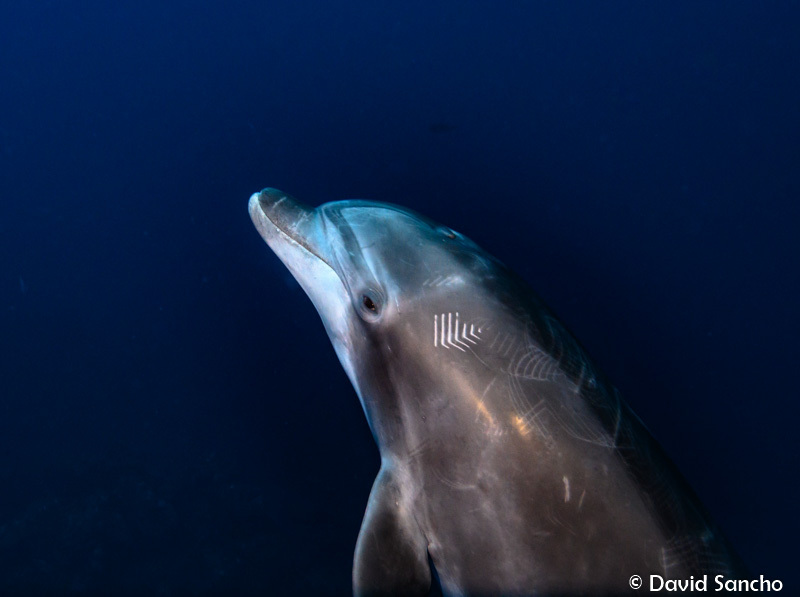 Having lenses with wider maximum aperture, that have improved edge-to-edge sharpness even when shooting wide open will be quite useful for underwater photographers shooting in low light conditions, using ambient light shots, or wanting really shallow depth of field. Overall, we found the image quality on the Z7 matched the image quality on the D850 and was better than the Sony A7R III. The battery life of the Z7 is severely lacking when compared to the A7RIII, and especially the D850. It may mean changing the battery out after every couple dives, which is a pain. Additionally, from our testing we found that the hybrid phase detection autofocus on the Z7 just doesn't perform quite as well as the Nikon D850 autofocus. We were also disappointed to see slight banding in some of our photos - the ones taken with high dynamic range. One card slot on the Z7, even if it is XQD instead of SD, will be a concern for people who are used to using two cards. Should You Invest in the Nikon Z7? Overall, we think the camera ecosystem is worth the investment. As manufacturers have started to focus on very high-end mirrorless setups, full-frame mirrorless systems are where much of the innovation in photography will likely be. With an FTZ adapter, Nikon has introduced a nice way to transition high-quality F-mount glass options to the new system of Z-mount glass. With the potential for f/0.95 speed lenses, Nikon has set itself up for success, even if it isn’t here yet. 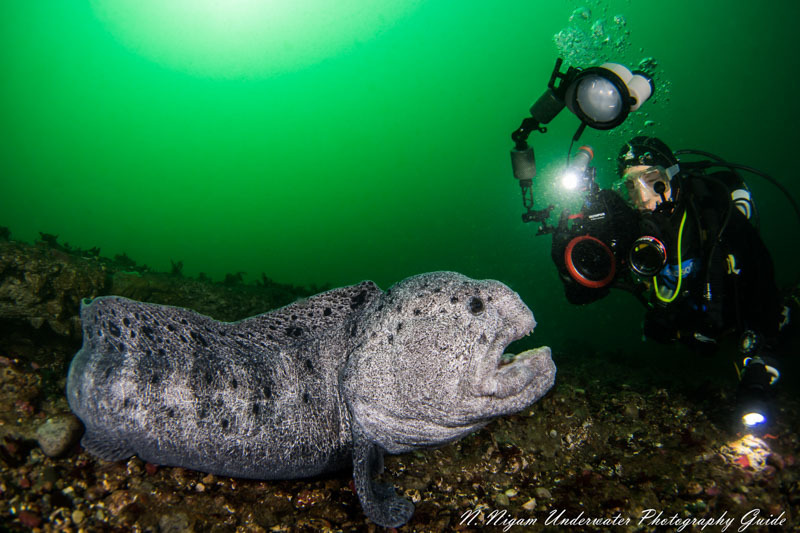 If you are an underwater photographer looking for the very best, I don’t think you could go wrong with this camera. 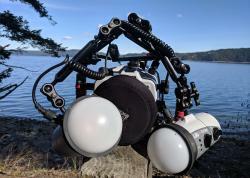 If you are a professional underwater photographer looking for a smaller system, this could be it. If you are an amateur looking to upgrade, I think this should be a serious consideration as you will have the best tools at your disposable for a light build. But if you’re on a bit of a budget, I would look at the Nikon Z6, which has a lot of the same specs and a smaller sensor resolution of 24.5 MP, for a much smaller price. Would I switch from the D850 to the Nikon Z7? Probably not – they’re a bit too similar of a camera, at a similar price point. Some housings are now available for the Nikon Z6 and Z7, including the Nauticam Z7 Underwater Housing, the Ikelite Nikon Z7 Underwater Housing, and the Sea & Sea Z7 Underwater Housing. Aquatica has also expressed that they will develop a housing. Each housing works with both the Nikon Z6 and Nikon Z7. Ports will be the same ports used for dSLRs, and will support using standard Nikon lenses with the adapter. High-end photographers love Nauticam housings for their functional, ergonomic, customizable, and durable designs. The Nauticam NA-Z7 housing offers full control of the camera, and full support forwith both native Z-mount lenses and F lenses with the FTZ Adapter. Comfortable to use and easy and intuitive to shoot, this housing is crafted from high quality aluminum to handle any bumps or bruises it picks up along the way. As it uses the DSLR-sized N120 ports, there is no need for port adapters. This makes it easy for any Nauticam DSLR shooter to transition to shooting the Z7! 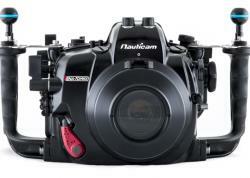 The Nauticam Z7 housing is available now at Bluewater Photo! Ikelite offers the most affordable Z7 housing, which is the only offering less expensive than the camera itself (by a significant margin, too). Manufactured in the USA, and made of a corrosion-free ABS-PC (polycarbonate) blend, this housing is both durable and light, making it great for travel. This housing offers full control of the camera, with controls designed specifically for ease of use, and is great for all budgets and shooting styles! 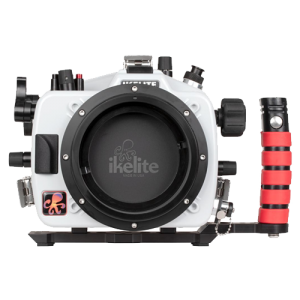 The Ikelite Z7 housing is available now at Bluewater Photo! The Sea & Sea MDX-Z7 underwater housing is compact and lightweight, manufactured from high-quality aluminum. It is smaller and much thinner than that of the D850, as well as other Nikon DSLR housings, reducing weight and size for travel. Heavy-duty moulded grips are comfortable to use, buttons and knobs are all well labelled and glow in the dark for ease of reading the camera controls during a night dive. It also uses the DSLR port size, so you can reuse your old DSLR ports with your new Z7 or Z6! 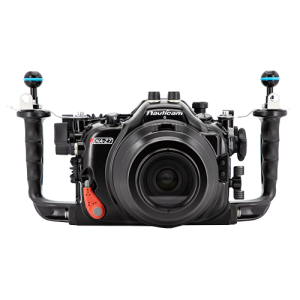 The Sea & Sea Z7 housing is available now at Bluewater Photo! Aquatica is known for producing top-quality housings. They machine their housings from a solid block of aluminum, and then anodize and powder-coat them. This creates a robust housing that can handle anything you or nature throws at it. Stainless steel control shafts and buttons ensure reliable operation, and great ergonomics are always a major part of the design. 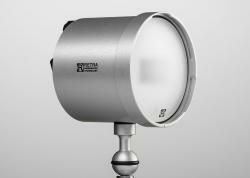 The Aquatica Z7 housing has not been announced yet, but is available for pre-order at Bluewater Photo! There is no doubt that the Nikon Z6 and Z7 are amazing underwater cameras. They are the top-of-the-line camera, period. If you are an experienced, high-end mirrorless shooter – the Nikon Z7 is going to blow your mind. If you are a professional looking for the best of the best – it’s either the Z7 or the Nikon D850. In short summation, our underwater tests yielded image quality on par with the Nikon D850. The only areas where the Z7 fell short is autofocus and battery life. 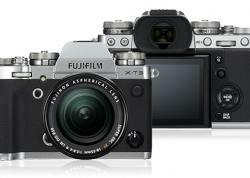 Both issues are a product of the mirrorless design. A hybrid phase detection/contrast autofocus system, despite having 493 points, didn’t quite match the D850. Moreover, the lack of a 3D autofocus tracking mode was a bit of a letdown. But overall, we can’t say that our images suffered due to a slightly lower performing autofocus. Battery life fared better than expected as long as the Z7 was set to sleep after a short length of time. But the Z7 truly shined in its image quality, image stabilization, color rendition, video capability, EVF quality, and compact size. 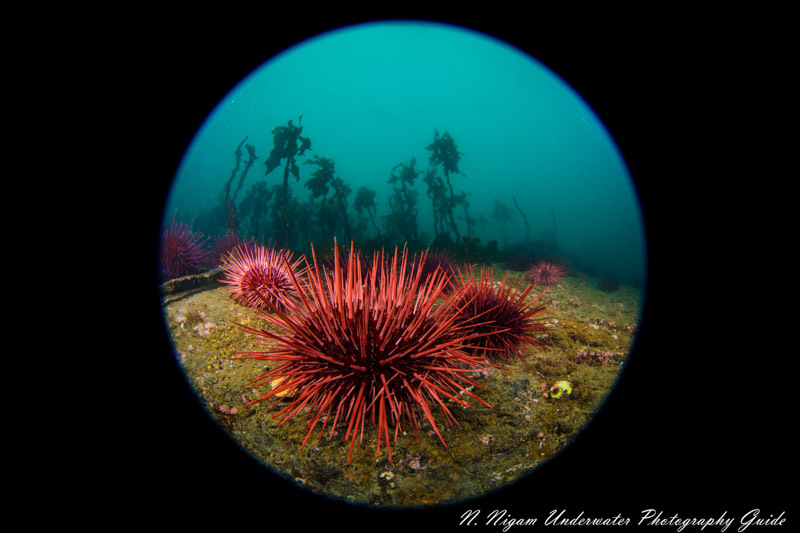 Nirupam Nigam is a dedicated underwater photographer and fisheries scientist. 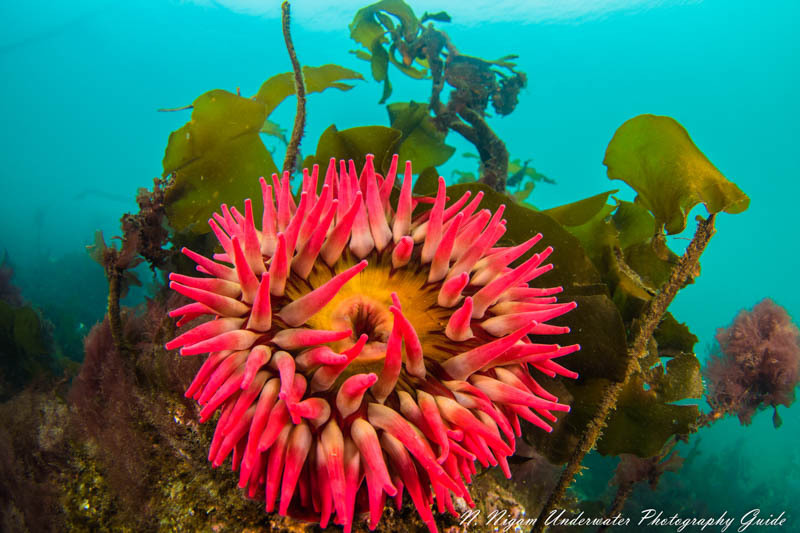 While growing up in Los Angeles he fell in love with the ocean and pursued underwater photography in the local Channel Islands. He received degrees in Aquatic and Fisheries Science and General Biology, as well as a minor in Arctic Studies, at the University of Washington. Now he works as a fisheries observer on boats in the Bering Sea and North Pacific. When he is not at sea, he is traveling with his fiancee and taking photos. 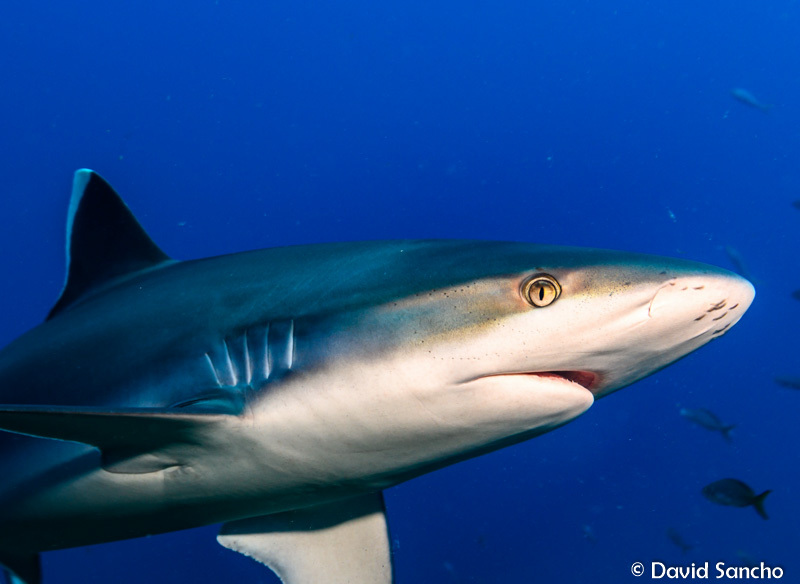 Check out more of his photography at www.photosfromthesea.com!